Designed for pet owners and non-pet owners alike, the Classic C1 Cat & Dog offers specialized features to keep flooring and upholstery tidy and contaminants from reentering the air. The 1,200-watt exclusive Miele Vortex MotorTM offers high suction power with low noise, perfect for homes with pets that are easily frightened by loud sounds. Loose hair and particles cannot escape the interchangeable Electro Plus and Pure Suction Parquet Floorheads, making vacuuming all types of flooring an easy task. Other notable features include the Active AirClean filter, which uses an active charcoal cassette to neutralize unpleasant odors, and the Handheld Flexible Mini Turbobrush captures hair and pet dander from those small, hard-to-reach places. The VarioClipTM keeps the Dusting Brush, Upholstery Tool and Crevice Nozzle accessories attached to the vacuum’s suction wand for easy access. 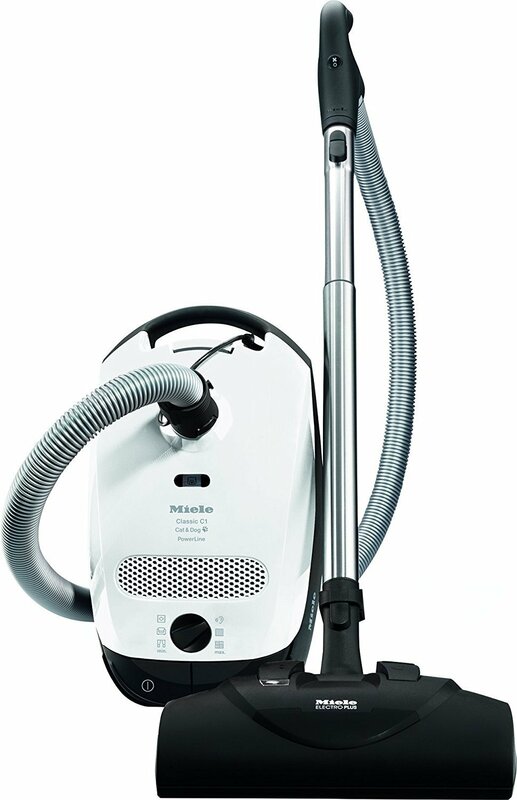 The Classic C1 Cat & Dog also offers an impressive 29.5 ft. cleaning radius and the multi-stage Miele exclusive AirClean System that keeps 99.9% of fine dust filtered during bag disposal.